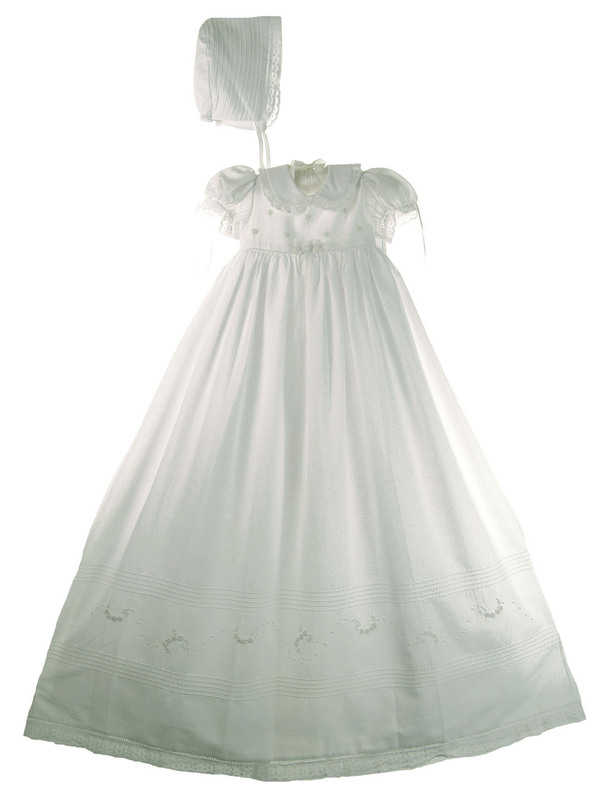 This beautiful long white christening gown of softest cotton is made by Will'beth, a designer of high quality infant and childrens wear for more than thirty years. It features delicate hand embroidered flowers centered with the tiniest seed pearls on the bodice. 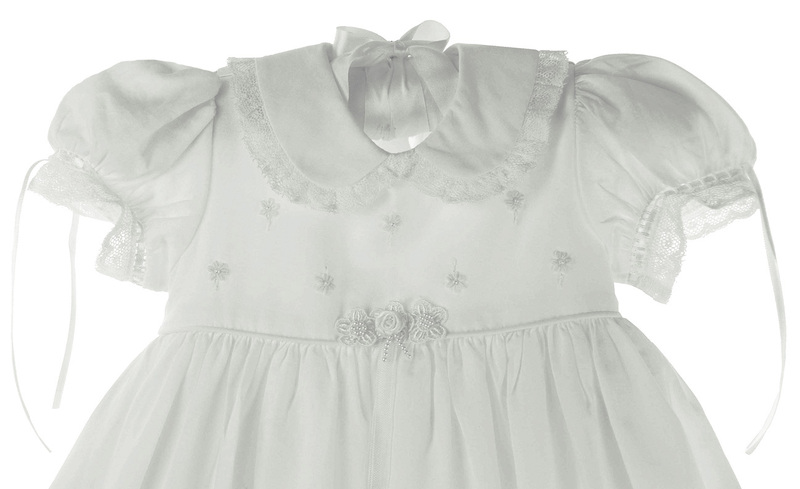 The Peter Pan collar is edged with soft white lace. 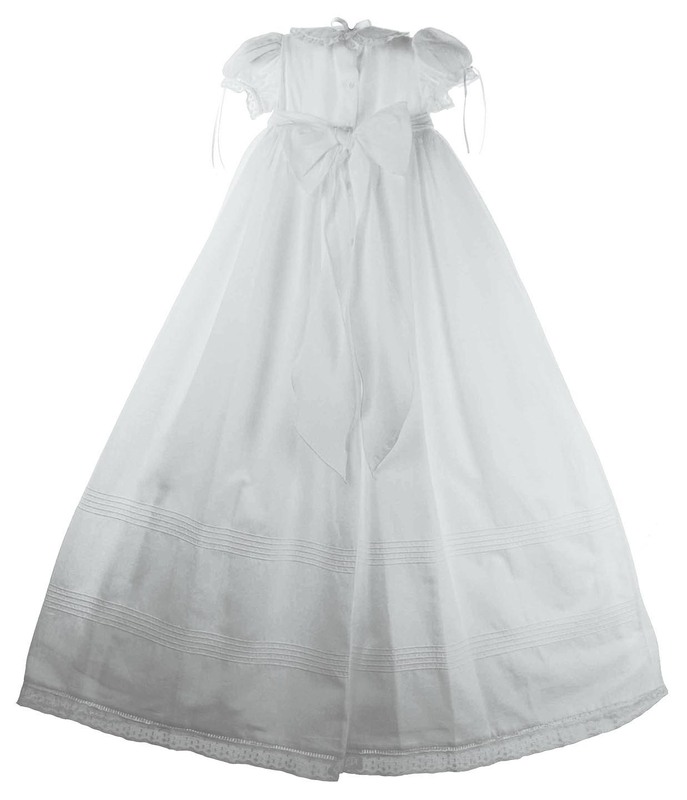 White satin ribbon insertion and lace trim accent the short puffed sleeves. 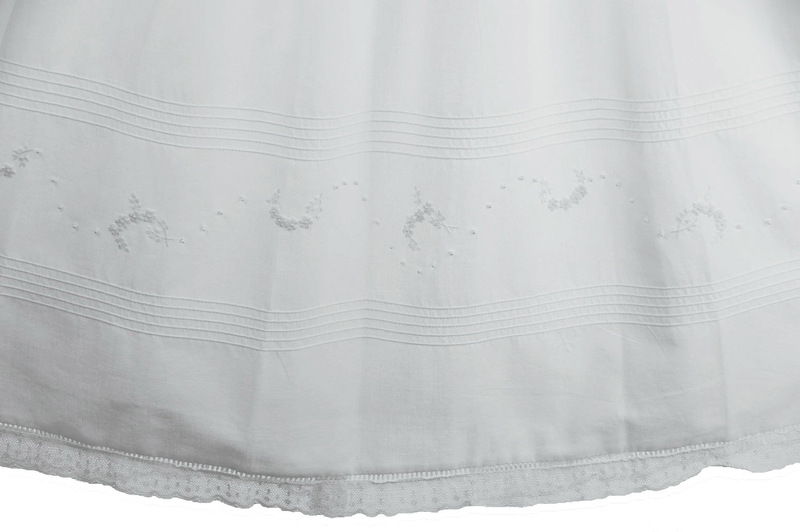 The long skirt has rows of pin tucks with embroidered flowers and seed pearls above the lace hem. 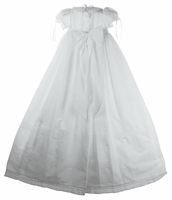 The gown closes in the back at the yoke with 3 small buttons and has a sash for tying a big bow. 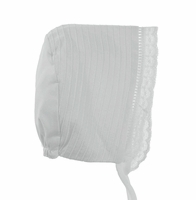 The gown is fully lined so no slip is needed. 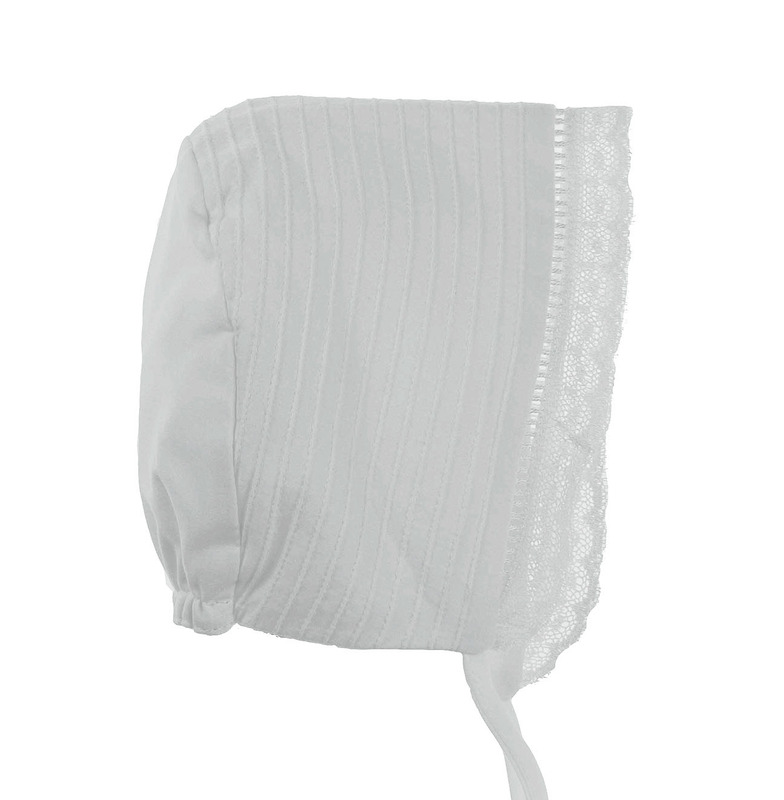 A matching bonnet, trimmed with pintucks and lace, is included. 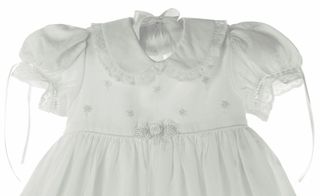 Size 3 months shoulder width= 7½"